Since the mid-1980s, mass migration from the countryside to urban areas has been one of the most dramatic and noticeable changes in China. Labour migration has not only exerted a profound impact on China’s economy; it has also had far-reaching consequences for its social development. 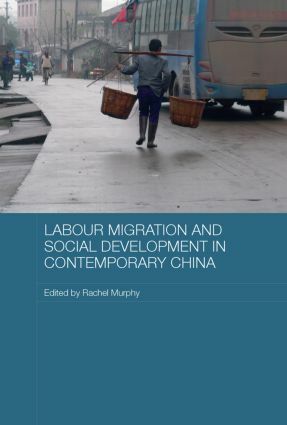 This book examines labour migration in China, focusing on the social dimensions of this phenomenon, as well as on the economic aspects of the migration and development relationship. It provides in-depth coverage of pertinent topics which include the role of labour migration in poverty alleviation; the social costs of remittance and regional, gender and generational inequalities in their distribution; hukou reform and the inclusion of migrants in urban social security and medical insurance systems; the provision of schools for migrants’ children; the provision of sexual health services to migrants; the housing conditions of migrants; the mobilization of women workers’ social networks to improve labour protection; and the role of NGOs in providing social services for migrants. Throughout, it pays particular attention to policy implications, including the impact of the recent policy shift of the Chinese government, which has made social issues more central to national development policies, and has initiated policy reforms pertaining to migration.